Top quality championship belts for any promotion or event. MN Belts has teamed up with Dave Millican Championship Belts. Hand-crafted leather, custom created to suit your needs. MN Belts can design the championship belt of your dreams. 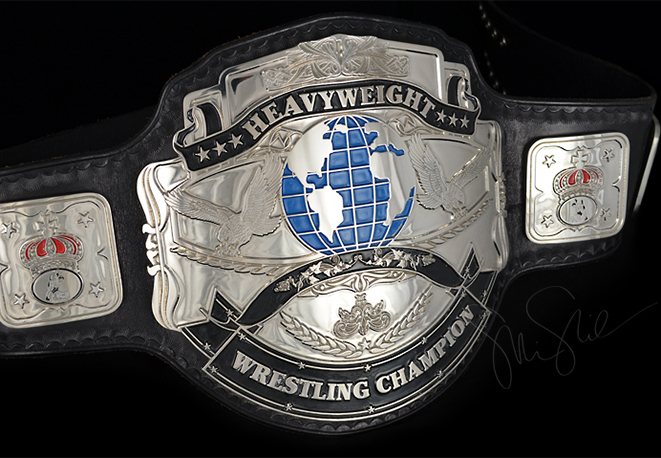 Welcome to MNBelts.com, the official website of championship belt designer and crafter Mike Nicolau. Here you will find samples of some of the work Mike has done over the past decade. To contact Mike directly, email mnicolau27@gmail.com. Website design and maintenance by Mike Nicolau. ©2019 Nickelo Graphics. All rights reserved.